Commonly known as Chamomile, adorable, little daisy-like or button flowers are bursting with sweet innocence and playfulness. Matricaria is a cheerful filler with immediate color, volume and delicate texture. 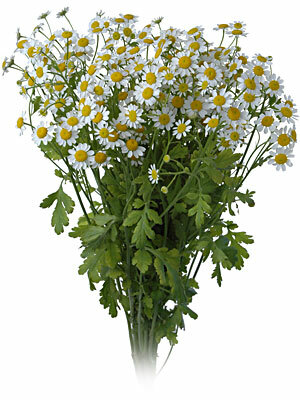 Matricaria is a flowering plant in the Aster family (Asteraceae).